By mid-1941, the Verdeja No.1 project had hit the rocks. Bureaucratic, economic and financial issues had combined with a lack of enthusiasm to bring the project to a standstill. With tank development progressing rapidly in the ongoing European war, the vehicle was rendered obsolete. However, Captain Félix Verdeja, the Spanish artillery officer with a keen interest in armored fighting vehicles and creator of the Verdeja prototype and No.1 models, was not going to give up so easily. He conceived a new model based on his initial design for the Verdeja while also drawing on what was happening elsewhere in Europe. The Verdeja No.1, which was also designed by Captain Félix Verdeja. Source. The new model was to differ from the Verdeja No.1 in several ways. To start with, the interior and turret position was to be totally redesigned. Previously, the interior had been divided into two sections, front and back, with the front section further divided down the middle creating two sections, with the right side housing the driver’s seat, the steering mechanism and engine control and the left side containing the engine and its power supply and cooling system, the gearbox and access doors to the exterior and the right side. The back section was the fighting compartment for the rear mounted turret. By contrast, the Verdeja No.2 was to be divided horizontally into two equally-sized sections, with the front for the driver and a new frontal mounted machine gun and its gunner. The rear would house the engine and transmission system. To create this new space, the front was to be brought further forward. The rear mounted turret was to be moved to the more conventional center. The armor was to be increased by 5-10mm all round with increased projectile penetration and gun caliber in more modern tanks and AT weaponry in mind. On the Verdeja No.1, the suspension had consisted of eight elliptical springs connected to the main body through two rigid axes. The undercarriage had an eighteen-toothed sprocket-wheel at the front, an idler wheel at the back, eight small bogey wheels divided into two quadruple transverse even levers and four return rollers at the top on each side. The tracks were made out of 97 individual steel magnesium fused links which were 290mm wide. All of these features were to remain unchanged. Verdeja finalized the plans for his new tank on 31 December 1941 and submitted them to the relevant bodies for authorization. The Verdeja No.2 project was not authorized until the 20th of July 1942. The incessant delays which had dogged the previous project (Verdeja No.1) involving the creation of a corporation to produce the tank and building the necessary infrastructure (factories, etc.) and in purchasing an engine for either of the vehicles continued. As the planned Lincoln ‘Zephyr’ engine could not be acquired, the Maybach HL 62 TRM and HL 190 TRM (as used in several Pz.IV models and variants) were looked into and plans were made for their purchase. The appalling economic conditions Spain was undergoing meant there was little funding available and the project took a long time to complete. The first Verdeja No.2, the prototype version, was finally finished in August 1944, almost two years after it had been approved. The field tests lasted for a few weeks and took place at the Polígono de Experiencias de Carabanchel and the Escuela de Aplicación y Tiro de Infantería. 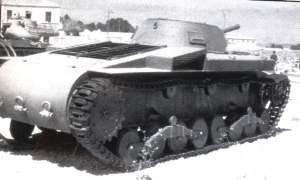 The new tank did not cause as much excitement during these trials as had the Verdeja prototype and Verdeja No.1 during their test periods (Generalisimo Franco himself had attended the second set of trials of the Verdeja prototype) and consequently, there is only a fraction of the written or visual evidence when compared to that of the other two. The lack of enthusiasm and interest was partly down to the aforementioned problems with setting up a corporation to build the tank there being no point in promoting the project’s production without having the means to do so. Nevertheless, during the trials the vehicle showed it was capable of crossing 2.2m trenches, going over slopes of 45°, smashing through 0.35m thick walls and fording depths of 0.8m. In the meantime, Captain Verdeja toured German tank factories and tapped into the knowledge of Spanish soldiers of the División Azul who had fought for Germany on the Eastern Front during WWII. This gave him the idea of creating a medium tank of modern capabilities to be known as the Verdeja No.3. This new project failed to materialize and all that is known of it is that Verdeja made a few sketches of what it would look like. The hull was divided transversely across the middle creating two symmetrical sections or compartments. The forward one housed the crew and their fighting stations whilst the engine and other mechanisms were in the rear one. Specifically, inside the forward compartment, the driver sat on the left and to his right the machine gunner/radio operator with both having semicircular outside-opening hatches above them. Between their seats there were fourteen machine gun magazines with two others on each of the vertical walls to their left and right respectively. Behind them could be found the fighting stations and ammunition deposit. The rear section had the 12 cylinder 120hp Lincoln ‘Zephyr’ engine which had finally been procured and the transmission. Weighing 9-10 tons, the Verdeja No.2 had a power to weight ratio of 10.09hp/t and a fuel consumption of 0.91 liters per kilometer. To each side of the engine there were 100 liter armored fuel tanks and to the rear the 6 watt, 100 amp Bosch battery. Externally, the armor consisted of 32mm frontal curved armor, 12mm upper glacis armor at 12°, the low 20mm silhouetted sides, the 24mm rear and the 12mm top. The thickest armor on the tank, 40mm, was reserved for the frontal plate with the viewing ports of the driver and machine gunner. The suspension, undercarriage, and tracks were more or less the same as before but with minor modifications. The vehicle’s increased length meant raising the sprocket wheel to a height of 797.5mm above ground and the idler to 641.5mm with 13 links added to the tracks. The turret’s design consisted of two overlaying structures. The outer frustoconical (a cone with the top removed) structure had the armament and aiming devices whilst the interior cylindrical structure housed the seats for the commander/gunner and the loader and space for the ammunition. 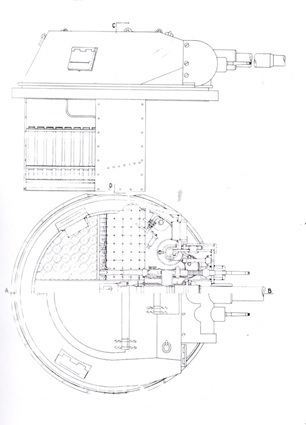 The turret was 475mm tall and had a diameter of 1470mm at the bottom narrowing to1035mm at the top. Its armor consisted of 28mm at the front with a further 16-24mm on the gun mantlet, 20mm on the sides and 12mm on the top. To each side of the mantlet, there were viewing ports protected by 55mm of glass and a metallic cover. Both sides of the turret had a glass-protected window towards the back for peripheral vision. The top had one semicircular hatch for the commander/gunner and loader and to allow the ammunition to be replenished. Inside, the turret was split down the middle with a small passageway for the gun, its recoil, and the used shells. Each side had a rectangular seat. In the center, there was the Spanish built 45/44mm Mark I gun made by S.A. Plasencia de las Armas based on the Soviet gun used on the T-26 and two parallel German MG-13’s, one on either side. The ammunition consisted of 46 projectiles on the left side of the turret, 40 on the right side of the turret and another 50 below the turret in the rear of the frontal compartment of the hull giving the Verdeja No.2 136 AP and HE projectiles. The machine gun ammunition was divided into 14 magazines between the driver’s and machine gunner/radio operator’s seats with 2 others on each of the vertical walls to their left and right respectively, 70 magazines in the exterior boxes, 32 beneath the turret seats, 28 in the frontal side tray and a further 28 in the frontal-central tray giving the vehicle a total of 176 magazines. Lukewarm support and lack of funding would not be the only difficulties Verdeja would face. In 1943, twenty Pz.Kpfw IV Ausf.Hs arrived in Spain. It has been falsely claimed that these arrived when a German ship carrying them was forced into a Spanish port by a British ship and that the tanks were interned as was convention given Spain’s supposed neutrality. However, it is more probable that these twenty tanks were part of the Bär Program through which Germany exchanged the Pz.IVs for tungsten and other minerals. These Pz.Kpfw IVs arrived in two batches by train to Irún, the first 18 on the 6th of December 1943 and the last two on the 15th of December. An additional consignment of 10 StuG IIIs was sent separately. With the arrival of these superior tanks, there was no need for the Verdeja No.2 nor the No.3 that Felix Verdeja was working on. 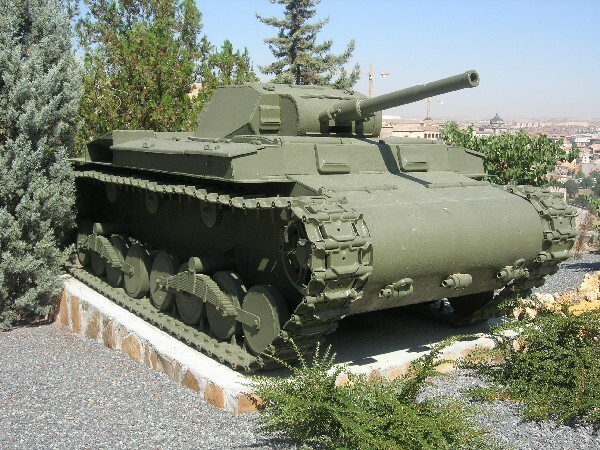 The sole existing Verdeja tank was stored at the Escuela de Aplicación y Tiro de Infantería until 1946 when its engine was repaired and tested with a view to resurrecting the project but, unfortunately, this did not come to fruition. 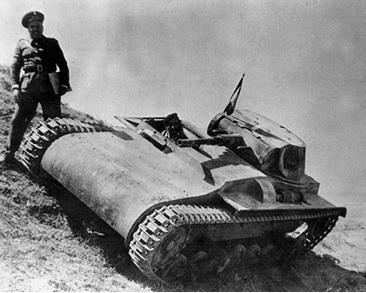 By the early 1950’s, the Spanish armored forces were in a dreadful state, the main material being pre-war Soviet vehicles such as the T-26, BA-3 and BA-6 and a limited number of German Panzer I’s that had been active in the Spanish Civil War. These were not only horribly antiquated, but spare parts for them were impossible to come by, from the USSR for political reasons and from Nazi Germany because it had ceased to exist. 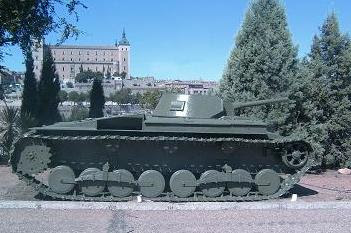 Moreover, Spain had been isolated by the victors of WWII and could not import any modern tanks. In an effort to overcome this difficult situation, the Verdeja project was revisited. The Verdeja No.1 was converted into a self propelled gun and the Verdeja No.2 was given a new first series Pegaso Z-202 125hp engine made by the Spanish company ENASA. However, it was soon realized that by this point, the Verdeja No.2 was seriously outdated and that it would require rethinking and redesigning. Even so, the project was not completely forgotten until 1953 which was when the whole Verdeja project would receive the final nail in its coffin. The coming of the Cold War and the clash between the USA and the USSR prompted the former to look for new allies. Franco’s fervent anti-Communism and Spain’s ideal geographical position boasting both Mediterranean and Atlantic coasts and controlling the Strait of Gibraltar, led the USA to see the peninsular state as a potentially useful ally. Franco fit the Americans profile of ‘friendly tyrant’ perfectly. His was a non-democratic regime for sure, but, more importantly, it was anti-communist and in their view, the lesser of two evils. In 1953, Franco and American President, Dwight Eisenhower, signed the Madrid Pact. This was an agreement to give economic and military aid to Spain in exchange for allowing the United States to use four air and naval bases on Spanish territory, in Rota, Torrejon, Zaragoza and Morón. Thanks to this, Spain lost is status of international pariah. Part of the military aid consisted of 31 M24 Chaffee’s, 28 M37’s, 38 M41 Walker Bulldog’s and several other troop transporters and engineer vehicles between 1953 and 1958. With these modern vehicles, the Verdeja No.2 was no longer necessary and it was forgotten. The only Verdeja No.2 was left at the firing range of the Escuela de Aplicación y Tiro de Infantería where it was used as a target until 1973. Luckily, no substantial or major damage was done. In 1973, an article on the Verdeja project was written by Gerardo Acereda Valdes (an author more accustomed to writing books on photographic cameras) for the Ejéricito magazine which revived interest in the tank and its history. As a consequence, the vehicle was transported to the Academia de Infantería de Toledo and put on a pedestal outside one of the administration buildings where it can be still found to this day. The Verdeja No.2 as it stands today at the Academia de Infantería de Toledo. Source. The Verdeja No.2, like the rest of the Verdeja tank family, was more a victim of unfortunate circumstances rather than faults of its own. Financial difficulties made the project unviable and the arrival of, firstly, more modern German tanks and, later, American armor spelled doom for the project. Though, it has to be said, by this point, the design was outdated and the Verdeja No.2 would have been of little or no use. If the vehicle had entered service in 1942-43 as intended and envisaged, it would have been a decent all-round light tank of similar capabilities to those being produced by the USA, Germany, USSR or Great Britain. What’s more, it could have given Spain some of the political, militaristic and industrial muscle it lacked. Photo of the side of the Verdeja No.2 with the Alcázar of Toledo in the background. The Alcázar saw some very fierce fighting in the early stages of the Spanish Civil War. Source. “Crew 3 (commander/gunner, loader, machine gunner, driver)”. It’s four crewmen. Was there a hull MG or not? Driver was a mashineguner? Do you have information about Verdeja № 3. 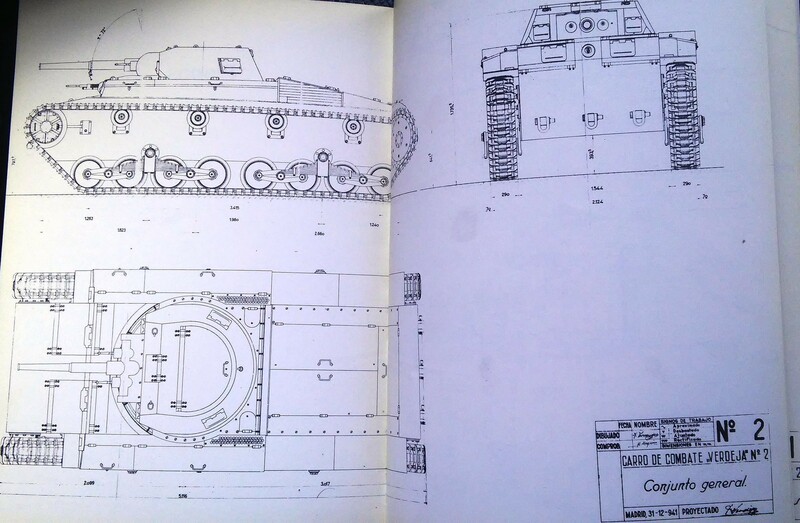 Drawings or parameters of the tank? Quote from the article: This gave him the idea of creating a medium tank of modern capabilities to be known as the Verdeja No.3. This new project failed to materialize and all that is known of it is that Verdeja made a few sketches of what it would look like.